Do not be fooled by meaningless adjectives placed next to the name of the dog just to justify the higher price. Do not be suckered by charlatans, a chihuahua toy or a Mexican Chihuahua, for example, they are always very normal dogs belong to a single race! In fact, the chihuahua for now has only two categorizations, or short hair and long hair. I heard around talking even chihuahua “thick hair” and I still is not clear to which type were reported in doubt … it’s still a wrong and nonexistent words! The word “Mexicans”, however, does not really make any sense. The whole race comes from Mexico, so, potentially, all Chihuahuas are Mexicans! Also when you buy a Chihuahua puppy Know exactly genealogy and make sure there’s a certification, pedigree, because otherwise, in addition to the risk of hereditary diseases and so on, you are paying for a dog that is probably not even race ! If a dog does not come with pedigree it should be given because calculated as a common mongrel. The markings to lie around like “supertipici” or “hypertype” or “pure race” are not worth anything. There are therefore not even the “pinscher-chihuahua” or “yorkshirechihuahua” or “bull-chihuahua” because they are all made crossings probably the case. My personal recommendation is therefore to inform themselves thoroughly before making a purchase that might encourage the wrong markets ? Although in practice the breed of Chihuahua Toy does not exist and has never been codified, you can identify with this statement the type of the smallest Chihuahua to the world, which is also called chihuahueño in Spanish, which means the “little one chihuahua” . This type of Chihuahua is really small and can get to weigh no more of three kilograms in total; than the largest Chihuahua, the Chihuahua is a toy dog ​​with slightly protruding eyes and always dark in color, has a physically very strong and compact and is definitely an energetic and sociable dog. 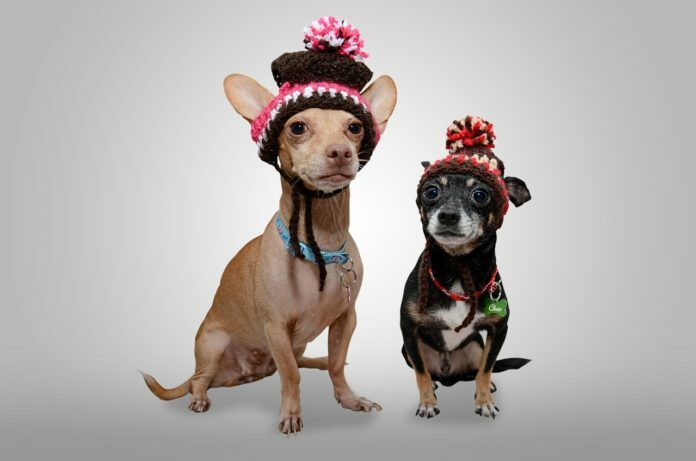 In terms of character and coexistence with other animals, the Chihuahua Toy can easily socialize with other dogs and even with cats, but this is especially the case if the two animals pet to be “presented” to be small, so that they can grow together. It is an excellent guard dog, and is not particularly trainable, as it is very independent! Again the concept, the problem is that statistically a Chihuahua is small and the present of the health problems, we should not discriminate against this “Standard,” but even encourage the ‘breeding aimed to give birth through smaller and smaller intersections Chihuahua to accommodate the request market. This practice will not be healthy for the average new puppies! Again we are faced with a breed of dog that has not been coded as such, but the Mexican Chihuahua exists and is much appreciated by those who love this small size dog. All Chihuahua are from Mexico, because their own race is native to this land, and only taking care to check the pedigree of the puppy you are sure to have in my arms a true example of Mexican Chihuahua. You can choose your Mexican Chihuahua in two canonical versions: the long-haired and short-haired one. Previous articleLullaby – Songs to let our Chihuahuas relax and sleep. Next articleFilm: Beverly Hills Chihuahua 3 Viva La Fiesta!